Aquaculture means farming of aquatic organisms including fish, mollusks, and aquatic plants. It refers to breading, rearing and harvesting in all types of water environments. Fisheries refer to act of culturing, preserving, marketing, developing and managing the aquatic resource. Fishery needs to manage by seeking balance in the situation where fishing impacts multiple stocks to create tradeoffs. Aquaculture Conferences, Jun 25, 2018 - Jun 27, 2018, International Conference on Aquaculture & Marine Biology, Location: Rome, Italy. Jul 9, 2018 - Jul 13, 2018, the 22nd International Symposium on Freshwater Crayfish, Location: Carnegie Museum of Natural History, Pittsburgh, PA USA. Aug 20, 2018 - Aug 22, 2018, Food & Feed Extrusion Technology (Australia), Location: Melbourne, Australia. Aquaculture Congress, Aug 25, 2018 - Aug 29, 2018, AQUA 2018, Location: Le Corium Congress Centre, Montpellier, France. Sep 2, 2018 - Sep 6, 2018, 8th International Symposium on Aquatic Animal Health, Location: Delta Prince Edward Hotel & Convention Center, Charlottetown, Prince Edward Island, Canada. Sep 12, 2018 - Sep 13, 2018, World Congress on Plant Science and Molecular Biology, Location: Singapore. Aquaculture is an important farming activity in EU. Farming of fish has increased in recent years and science to access welfare is evolving. Fish nurture in aquaculture systems faces numerous welfare challenges. The development and implementation of appropriate production facilities to ensure the well-being of growing numbers of farmed fish are critical. A key welfare problem for farm fish is infection by disease and parasite. To align welfare issues should follow some welfare rules for freedom fish like Freedom from hunger and thirst, discomfort, pain, and injury, from fear and stress. Sep 25, 2018 - Sep 28, 2018, 3rd Aquaculture Conference 2018; Recent Advances in Aquaculture Research, Location: Qingdao, Chin. Oct 8, 2018 - Oct 9, 2018, 10th Euro-Global Summit on Aquaculture & Fisheries, Location: Park Inn by Radisson London. Oct 23, 2018 - Oct 26, 2018, Latin American & Caribbean Aquaculture 2018, Location: Bogota, Colombia. Aquaculture Conferences, Nov 4, 2018 - Nov 8, 2018, the 12th International Sea Lice Conference, Location: Punta Arenas, Chile. Aquaculture and fishery are one of the important sectors in the economy. Sustainable aquaculture is a dynamic concept and sustainability vary with species, location and, state of knowledge and technology. Aquaculture should have environmental as well as economic sustainability. Sustainability of species depends on feeding and lifecycle habitats. Aquaculture can improve the sustainability of small scales farms. Multiple uses of water are an important aspect of the sustainable aquaculture system. Mar 6, 2019 - Mar 10, 2019, Aquaculture 2019, Location: Marriott New Orleans, New Orleans, Louisiana USA. Aquaculture meetings, Feb 9, 2020 - Feb 12, 2020, Aquaculture America 2020, Location: Hawaii Convention Center, Honolulu, Hawaii USA. Feb 17, 2022 - Mar 3, 2022, WORLD AQUACULTURE 2022, Location: Town & Country Resort & Convention Center, San Diego, California USA. Feb 19, 2023 - Feb 22, 2023, Aquaculture America 2023, Location: Marriott New Orleans, New Orleans, Louisiana USA. 1-3 June 2018 13th China (Fisheries Expo (FIFE), Fuzhou, China. Aquacultures are simply defined as aquatic organisms. Fish require the same nutrients that all animals require for health and reproductive growth. It includes proteins, minerals, and vitamins. The main objective of aquaculture nutrition is to balance the food portion which should be composed of fish meal and fish oil at the average rate. Improved efficiencies in aquatic nutrition and aquafeed development are essential to the long-term development of local aquaculture industry. June 3, 2018 -7 June 2018, 18th International Symposium on Fish Nutrition and Feeding, Las Palmas de Gran Can aria, Spain. 4-6 June 2018, International Conference on Aquaculture, Copenhagen, Denmark. 13-15 June 2018, 8th International Conference on Water & Fish, Belgrade, Serbia. 18-19 June 2018, European Aqua Congress, Paris, France. 18-21 June 2018, Sea-web Seafood Summit, Barcelona, Spain. 25-27 June 2018, International Conference on Aquaculture & Marine Biology, Rome, Italy. Impacts of aquaculture on the environment are increasing. The main influence of aquaculture on water quality is to increase the suspended substances and the nutritional salts in water. It is an important issue as aquaculture expands globally. In South East Asia shellfish are produced heavily and poorly managed. Farmed fish are generally free from environmental contaminants such as heavy metals. Environmental impacts of aquaculture are dependent upon the species farmed. July 15, 2018 -19 July 2018, 13th International Congress on the Biology of Fish, Calgary, Alberta, Canada. 16-20 July 2018, International Institute of Fisheries Economics & Trade (IIFET) Conference, Seattle, Washington, USA. 26-28 July 2018, Aquaculture Taiwan, Taiwan. 20-21 August 2018, World Congress on Recent Advances in Aquaculture Research & Fisheries, Rome, Italy. 21-24 August 2018, Nor-Fishing, Trondheim, Norway. 24-26 August 2018, China International (Guangzhou) Fishery & Seafood Expo 2018 (FISHEX GUANGZHOU 2018), Location Guangzhou, Guangdong, China. The infectious disease poses one of the most significant threats to successful aquaculture. Negative environmental effects may occur serious oxygen shortage caused by disintegrating natural substances. There will be no treatment for viral diseases. Most of the fish diseases are restricted to fish and poses no risk to handlers. It’s essential to report any infections or diseases to fish as quickly as time permits. This leads to early administration and regulation of pathogens for the regular environment. 25-29 August 2018, Aqua 2018, Location Montpellier, France. 29 Aug-31 Aug 2018, 13th Shanghai International Fisheries and Seafood Exhibition, Shanghai, China. 2-6 September 2018, Eighth International Symposium on Aquatic Animal Health (ISAIAH-8), Charlottetown, PEI, Canada. 4-6 September 2018, Aqua 2018, Wan Chai, Hong Kong. 5-7 September 2018, Aqua Fisheries 2018, Phnom Penh, Cambodia. Jul 25, 2018 - Jul 27, 2018, Applied Food & Feed Extrusion Technology (Asia), Location: Bangkok, Thailand. 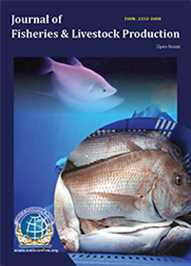 The variation in technologies is used to observe live fish in the industry and is limited. New techniques are for the treatment of diseases. The technologies used in aquaculture is relatively simple and based on modifications that improve survival rates of targeted species. Fish farming includes establishing fish in place of growth. 9th International conference on Fisheries & Aquaculture (2171th Conference Series LLC Ltd), September 17-18, 2018, Vancouver, British Columbia, Canada. 13-16 September 2018, Global Fishery Forum & Seafood Expo, St. Petersburg, Russia. Aquaculture conferences, 20-22 September 2018, Fish & Seafood Canada conference (FASC), Montreal, Canada. Aquaculture Meetings, 25-27 September 2018, GOAL (Global Outlook for Aquaculture Leadership), Guayaquil, Ecuador. 26-28 September 2018, Aqua Fisheries 2018, Yangon, Myanmar. The fisheries control the authority to performs specific management functions. 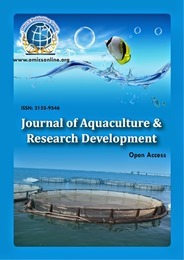 Aquaculture economic and management is a quality control, international journal that aims to encourage the application of economic analysis to the management of aquaculture. Aquaculture economics deals mainly with the management affecting the efficiency of operation at the farm level. 8-9 October 2018, 10th Euro-Global Summit on Aquaculture & Fisheries, London, UK. 17-21 October 2018, Gender in Aquaculture & Fisheries, Bangkok, Thailand. 31 October 2 November 2018, Busan International Seafood & Fisheries EXPO [BISFE 2018], Busan, South Korea. 4-8 November 2018, Sea Lice Conference, Punta Arenas, Chile. 23-26 October 2018, Latin American & Caribbean Aquaculture 2018, Bogata, Colombia. Marine ecology is the logical form of marine life population, surroundings among organisms including biotic and abiotic components. Marine ecosystems are vital for the overall health of both marine and land-dwelling environments. Biological oceanography shows the effect on organisms by oceanography systems. This is like marine biology. It focuses on the micro-organism, ecosystem and affects the environment. Marine Conferences International Summit on Fisheries and Aquaculture, Marine Biology Conferences August 13-14, 2018, Amsterdam, Netherlands. Oceanography Conferences AQUA 2018, Marine Conferences August 25-29, 2018, Montpellier, France. Marine Conferences 2018 September 02-06, 2018, Prince Edward Island, Canada. Aquaculture Events 3rd Aquaculture Conference 2018: Recent Advances in Aquaculture Research, Marine Science Conferences, September 25-28, 2018, Qingdao, China. Aquaculture Workshops AquaSur 2018, Marine Science Conferences 2018 October 02-05, 2018, Puerto Montt, Chile. Genetics diversities maintain the integrity of aquatic ecosystems. This can be maintained by reducing movement of populations within the country. Technologies related to genetic biodiversities can also be used to reduce the risk of impacts on farmed stocks. It gives crude fixings that enhances the attractiveness of creatures. Genetic technologies are utilized to determine taxonomic status of rare species. 9-12 February 2020, Aquaculture 2020, Honolulu, Hawaii. 18-21 May 2020, Tuna Conference, Lake Arrowhead, California. 2-5 June 2020, World Aquaculture Conference, Singapore. 11-15 October 2020, World Fisheries Congress 2020, Adelaide, Australia. 17-20 May 2021, Tuna Conference, Lake Arrowhead, California. International Sea Fish & Sea Food Show, 20-22 September, Montreal, Canada. Aqua Fisheries 08-10 November 2018, Cambodia, Myanmar. Sea Food Expo- Asia 04-06, Sept 2018 - Wan Chai, Hong Kong. Aquatic Conferences June 11-13, 2018, Stavanger, Norway. Fisheries Events 2018 Indo Fisheries 2018 Expo & Forum, Marine Biology Conferences 2018 July 04-06, 2018, Jakarta, Indonesia. Aquatic resources and management provide the protein in income communities and ecosystem maintains agriculture and health. These resources and management are focused on aquaculture and oceanic region and related fields. It represents half of the aquatic creatures for better improvement. These aquatic resources and water management is done for further improvement of the environment. 7-9 November 2018, 23rd Annual China Fisheries & Seafood Expo, Qingdao, China. 31 January 2 February 2019, AquaEx India, Hitex, Hyderabad, India. 6-10 March 2019, Aquaculture 2019, New Orleans, Louisiana. 17-19 March 2019, Seafood Expo North America, Boston, USA. 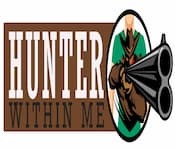 20-23 May 2019, Tuna Conference, Lake Arrowhead, California. 18-20 June 2019, Asian Pacific Aquaculture 2019, Chennai, India. 8-10 October 2019, Aquaculture Europe 2019, Berlin, Germany. 20-22 November 2019, Latin American & Caribbean Aquaculture 2019, San Jose, Costa Rica. Engendering security in aquaculture focused on multiple facets of the fish value chain and society. These facets include food security and nutrition, access to research, fair livelihoods, safety within the household and climate change disasters. Genders equality champions should be supported, and women encouraged to speak up and act on their own behalf. Fisheries Congress 2018 AGU Fall Meeting, Marine Science Conferences 2018 December 10-14, 2018, Washington, D.C., USA. Marine Conferences 2018 Fish Passage 2018, Aquaculture Conferences 2018 December 10-14, 2018, New South Wales, Australia. Oceanography Conferences 2018 AQUACULTURE 2019, Marine Science Conferences March 06-10, 2019, Louisiana, USA. Aquaculture Conferences 2018 AQUACULTURE EUROPE 2019, Marine Science Conferences 2018 October 08-10, 2019, Berlin, Germany. 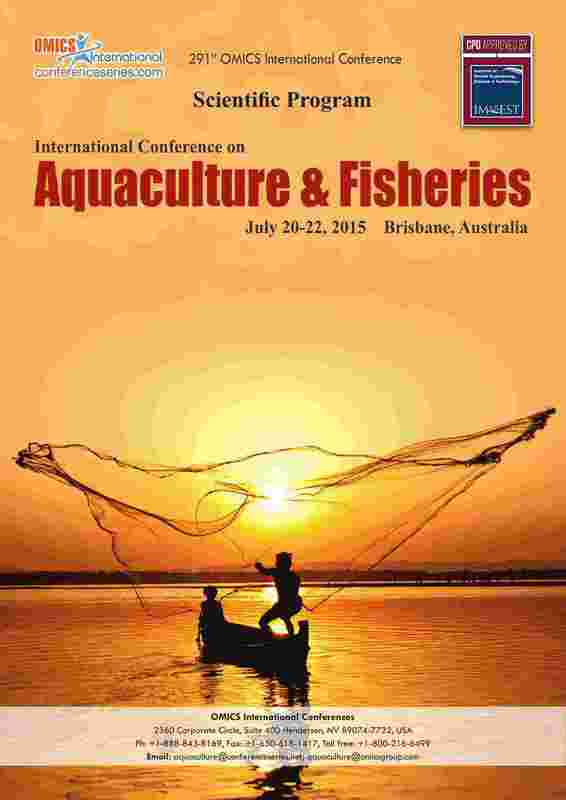 Aquaculture Meetings World Fisheries Congress 2020, Aquaculture Conferences October 11-15, 2020, Adelaide, Australia. The Interaction between aquaculture and fishery is done in different unique ways. These two communications are different forms of man inventions in the life cycle and aquatic organisms. The relevance of interactions between two sectors became more evident as the process of transition from fishing to farming and has reached a point. 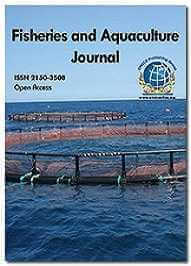 Aquaculture is related to various aqua creatures. Natural connections can create distinct ways. Livestock in domestic animals raised to produce labor and commodities. They also form animal husbandry practices which have shifted to animal farming. These practices increase the yield of various commercial outputs. Generations will progressively influence common assets like land and water. Livestock production serves as the source of income. Aquaculture is seen as having an important role to play in feeding the growing populations of many developing countries. Aquaculture Conferences 201878th Midwest Fish & Wildlife Conference, Marine Science Conferences 2018 January 28-31, 2018, Milwaukee, Wisconsin. Marine Biology Conferences XVIIIth International Symposium on Fish Nutrition and Feeding (ISFNF), Aquaculture Conferences June 03-07, 2018, Gran Canarias, Spain. 3rd Aquaculture Conference 2018, Recent Advances in Aquaculture Research, 25-28 September 2018, Hyatt Regency Qingdao, China. European Aqua Congress, October 18-19, 2018 in Paris, France. 9th International Conference on Fisheries & Aquaculture September 17-19, 2018 Vancouver, Canada; 10th Euro-Global Summit on Aquaculture & Fisheries May 28-29, 2018 London, UK. Aquaculture is an inhabitant in which fish farming is practiced in different cultures such as marine water, freshwater, and brackish water. Different species of fish are cultivated and harvested in an ideal condition through aquaculture. These fish are further profitable for different applications such as food industry, dietary supplement, and others. Worldwide interest for global aquaculture may grow or extended by USD 209.42 billion in 2021, developing a strong CAGR near future. As far as volume, global demand for aquaculture stood at 71,190-kilo tons in 2015. Aquaculture showcase is fundamentally determined by a decline in worldwide catchments of fish. However, horrible climatic conditions are the real limitation that is required to restrict the development of aquaculture showcase sooner rather than later. Aquaculture is a Major Field in contemporary food source according to the FAO, aquaculture "is understood to mean the farming of aquatic creatures including fish and marine plants. Farming designates some form of involvement in the education process to increase production, such as usual providing, nourishing, guarding against slayers, etc. The Asia Pacific controlled the market for aquaculture in 2015. China was the largest country in the Asia Pacific that accounted for above 58.0% shares of the entire market in 2015. Moreover, this pattern is forestalling to proceed over the market of aquaculture amid the following couple of years. North America and Europe are relied upon to have significant development in not so distant future attributable to force patterns in aquaculture. In earlier days the term marketing of fish meant procurement and marketing of fish at the providing foci. After the Second World War marketing of fish has taken a new role in the business pursuit. The fisheries have not become highly developed in all fishing nations. The new fishing practices have been assumed to sell more fish. The modern fish promotion system lays importance on meeting the stimulating demand of fish, besides appointing the possible demand in the important markets. The marketing of any produce largely depends upon the obtainability, depletion, and requirement. In Goa, the old customary system of fish marketing is approved. Modern marketing system, as well as the fish marketing, is normally done at the collection establishments, which are mainly located around the fish landing. The conference was organized around the theme “Innovative and Sustainable Aquaculture” which covers a wide range of critically important sessions related to Aquaculture, Fisheries, Sustainable development of Aquaculture with 27 different tracks related to Aquaculture and allied fields. This annual conference brought together eminent scientists from more than 10 countries in which many critical issues were discussed in depth to provide up-to-date information to the world. On the other hand, the meeting provided the best platform to share their ideas and experiences and to report unique, new discoveries and researches in Aquaculture and allied fields. The two-day program witnessed thought to provoke keynote and plenary presentations from experts from worldwide. The conference laid the first stone on Day 1 (May 24, 2018, ) with the keynote series by eminent speakers Senior Professor Dr Anil Kumar Gopinathan School of Biosciences & Technology, VIT University India. Dr Shoichiro Ozaki, Professor Emeritus Ehime University Japan and Dr Nyan Taw, Former Chief Technical Advisor & Consultant for FAO of the UN and Consultant for World Bank Projects World Bank-CRSD project in Vietnam, projects in Malaysia & Indonesia, which followed by oral presentations and YRF sessions. The Day 2(May 25, 2018) programs were initiated with a keynote series of well-known speakers Dr Alka Parashar, Professor, HOD of Zoology Sarojini Naidu P.G. (Autonomous) College India; Prof. Suzan Kholeif Professor of Oceanography and Fisheries Egypt, which was followed by oral presentations and Young Research Forum presentations. Conference series LLC wishes to acknowledge all the organizing committee members, moderators, chairs, speakers, students, delegates in making this event a great success. We are also obliged to various delegate experts, company representatives and other eminent personalities who supported the conference by facilitating active discussion forums. We sincerely thank the Organizing Committee Members for their gracious presence, support, and assistance with the unique feedback from the conference. With the unique feedbacks from the conference, Conference series LLC would like to announce the commencement of the 12th Global Summit on Aquaculture & Fisheries. September 27-28, 2019 Hong Kong.